Australia, 19 June 2015: StartupAUS today announced Peter Bradd as the organisation’s first CEO. Mr Bradd will work with the StartupAUS board to continue its mission to transform Australia through technology entrepreneurship. An influential voice within the Australian startup ecosystem, Mr Bradd was a founding director of Sydney’s first tech co-working space, Fishburners, and is the founder of personalised postcard service, ScribblePics. Over the past two years he has helped Australia’s largest companies in Banking, Insurance, Retail and Media. Mr Bradd is also a foundation member of the StartupAUS board. StartupAUS also announced today that Andrew Larsen will join the StartupAUS board. Based in Perth, Mr Larsen is the founder of co-working space SyncLabs. In other board moves, founder of River City Labs, Steve Baxter, will retire his board role to represent StartupAUS as Chief Advocate. Alan Noble, board member StartupAUS commented: “We are delighted Peter has been able to step into the CEO role to build upon the foundations of what StartupAUS has achieved in the two years since we launched. In the first half of 2015, StartupAUS released an updated Crossroads report 2015, revamped its website (startupaus.org), positioned the Startup ecosystem with governments at all levels, and started planning for the third Startup Spring festival which will run later this year with the aim of attracting over 200 events. Peter Bradd, CEO, StartupAUS commented: “What StartupAUS has been able to achieve to-date is a testament to the hard work of volunteers, the amazing goodwill of the startup eco-system and the support of our sponsor organizations such as Google, River City Labs, Salesforce, and Xero. However, we recognise that we’ve only scratched the surface of what needs to be done. We need to shift the bar on technology entrepreneurship in Australia, and take advantage of a once in a generation opportunity to transform our economy. Peter Bradd is the CEO of StartupAUS, a serial entrepreneur and one of the most influential tech leaders in the Australian entrepreneurial community. Peter became a founding director of StartupAUS in 2013 and has recently been appointed CEO where he’ll continue their mission to transform Australia through high-growth technology entrepreneurship. A successful Aussie startup founder himself, in 2008 Peter formed the personalised postcard app, ScribblePics. He was also a founding director of Australia’s largest startup co-working space, Fishburners, where he transformed it into a thriving, sustainable place for startups, speakers, mentors and corporates to connect with each other. Fishburners is currently home to over 125 technology startups. Over the past two years Peter helped Australia’s largest companies in Banking, Insurance, Retail and Media by applying the start-up mindset and toolsets to create new business models. As a regular speaker and featured thought leader, Peter has delivered an occasional address for the Faculty of Engineering and Information Technology at UTS, hosted Google’s CFO, Airbnb CTO and oDesks CEO, has appeared in The Australian, Australian Financial Review, BRW and Boss Magazine and has participated as a judge for many entrepreneurial competitions including SydStart, StartupWeekend and OZApps. Andrew Larsen is passionate about Australian startups. Andrew co-founded Perth’s first technology focused co-working space; SyncLabs and is an active venture investor in the early stage technology sector. Andrew is a Director of multiple award winning WA based startups, namely Healthengine and Seqta. Andrew has worked in numerous technology focused roles in both the public and private sector, and is enthusiastically supportive of local entrepreneurship, and showcasing Australian technology on the world stage. Andrew is an active Adviser, Mentor and Judge within the WA ecosystem. He holds an MBA from Simon Fraser University (Vancouver, BC) along with a Master in Computer Security from Edith Cowan University and a Bachelor of Computer Science from the University of Western Australia. 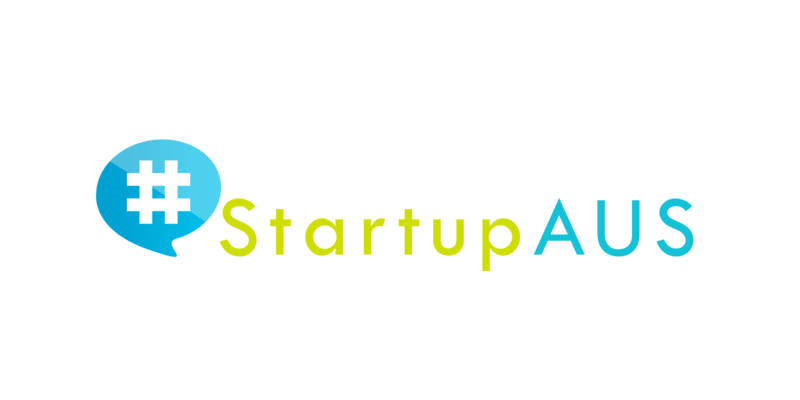 StartupAUS is a not-for-profit entity with a mission to foster and build the community of technology entrepreneurship in Australia.